Last year, we hosted a reunion for LTYM cast alums. While they were reminiscing, we pulled them into a hallway and put them on the spot. “What did you love about being in the Listen to Your Mother cast?” we asked. Take a look. Consider auditioning. We’d love for you to experience the same pride, support, and friendship as these cast members. LAURA EPSTEIN AUDITIONED AND SO SHOULD YOU! Meet LAURA EPSTEIN, Listen to Your Mother 2016 cast member. Laura was “terrified” to try out for the show but intrigued, as well. She stepped out of her comfort zone and read her funny, clever, and poignant story about cooking holiday meals with Mom. Did she have regrets? Check out her testimonial and see! Announcing 2019 Listen To Your Mother Auditions! 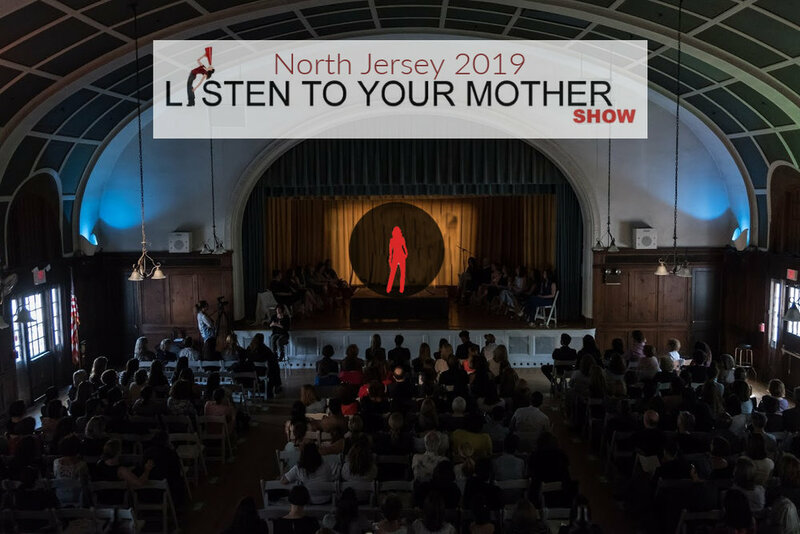 The 6th ANNUAL NORTH JERSEY LISTEN TO YOUR MOTHER SHOW at THE WOODLAND in Maplewood, New Jersey will be on SATURDAY, MAY 11th at 3 PM & 7 PM. Mark your calendars so you can either be on stage or in the audience so that we can share this fantastic experience together! This is the year when you say to yourself, “Self! THIS IS THE YEAR! This is the year I will audition for Listen To Your Mother because I have something to say - something to share - something that I know someone else wants to hear.” Then, you’ll DO IT! You’ll come tell your story, and you will be so happy that you did. Whether it’s heartfelt, harrowing, or hilarious, we want to hear you story about motherhood! Adults, young adults of all genders, parents, grandparents, and non-parents welcome. Auditions be held on: SATURDAY, FEBRUARY 9TH from 12:30 PM - 6:30 PM & SUNDAY, FEBRUARY 10TH from 12:30 PM - 4:30 PM. This is a spoken word event, so come prepared to read your own original 3-5 minute story about motherhood. In order to request an audition time, please email LTYMNJ@GMAIL.COM with AUDITION in the subject line. Include your full name, phone number, and preference for dates/times. We will do our best to accommodate you. Commitment includes 2 rehearsals in the spring (TBD) and a pre-show run-through on May 11th. No professional writing or stage experience required! You can get a better sense of the show and the stories that have been told HERE. We are looking forward to seeing you and hearing your stories!